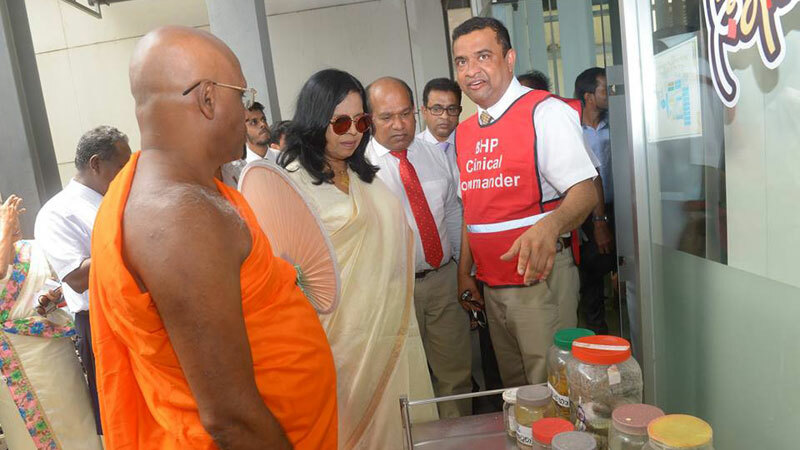 The first ever Emergency Response Pre-Preparedness (ERP) Unit in Sri Lanka opened by Dr. Mrs. Sujatha Senaratne at Panadura Base Hospital recently, Health Ministry spokesman said. According to the spokesman, whenever an accident take place, all photos, videos etc can be forwarded to the hospital through Viber, Whatsap and Imo using the telephone number 0704000044. This new system enables the hospital to send an ambulance immediately to the place where the accident took place and make arrangements at the hospital to treat the patients without any delay brought in by the ambulance, he said. Panadura Base Hospital is the first state hospital in Sri Lanka which launched the system under the direction of the Health Ministry. A drama staged o educate the public on the new service. Deputy Director General of Health Services Dr. Amal harsha de Silva, Panadura Hospital Director Dr.Piyal Samaraweera, hospital staff and officials were present at the launching ceremony.